“Passion is the driving gear”. DJ, Producer and Label Owner Michael Schwarz stands for music with passion and love for the detail. Less is more and thats the reason why Michael Schwarz were attracted techno and minimal sounds. Since 2003, he once produced Hardtechno and Schranz – that he published at uptrax.de, now Techno and Deep Techno and improved with every release his sound technical amendments and refinements. 2007 started his DJ career and thus the jump in the deeptechno scene. With the help of his music, he supports numerous campaigns such as “DANCE4LIFE”, “LAUT GEGEN NAZIS” or “PETA. In 2005 he founded his own campaign against fur-bearing animal breeding and fur fashion. With “Aktion Tierschutz”, he supports in cooperation with other DJs and producers of the electro-scene the “WWF”. 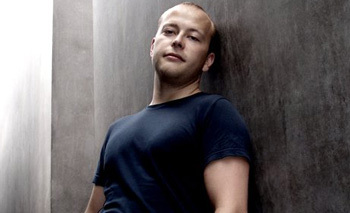 Michael Schwarz released his tracks at 43 recordings, remuted, protect records, Globaltraxx Records, HouzeSlave Records, and since 2009 at his own label HARD DRIVE RECORDS.